Limited Time Offer: $5k ANY WAY YOU WANT IT! *Restrictions Apply* Bentley Plan-w/coffered ceiling and built in cabinets in Great rm. 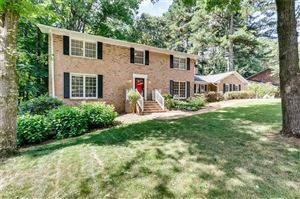 Hardwoods on 1st floor!Home features island w/granite tops, walk in pantry and Mud Rm! SS appliances and vent hood, soft close cabinet doors. Wood stairs lead to spacious bedrms,Owners Suite has tray w/ huge tiled shower, sep. garden tub,double vanities and great closet! Brick front with hardi-plank siding, decorator exterior paint colors. Covered rear patio. Community is gates with a club house and swimming pool, lawn maintance included! Data last updated: 4/18/19 2:28 PM PDT.